Splicing Couplers No, I want separate systems with end caps and pipe collars for each system Yes: Couplers are an additional $6 each. You will be contacted after the order is placed for the quantity needed and a separate invoice will be run. 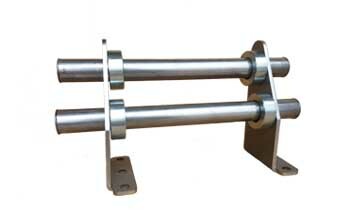 Limited Mill Finish and Stainless Steel product in stock for expedited shipping, please call for availability. Use metal roof rails to keep the snow on the roof. Most roof rails are used on metal roofs because of a natural slide metal roofs make for snow. Metal roof rails are a stronger and more reliable system than snow guards. Snow guards are sold in individual units that are placed on the roof by adhesive, screws or a clamp on snow guard is used to attach to a standing seam metal roof. 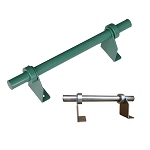 While these are great products, metal roof rails have more bite when bolted down with a lag bolt or large self-tapping screw, or a snow rail with a more sufficient clamp on mechanism is used; examples: S-5 ColorGard, Click Here, or Sno Shield Clamp on Snow Rail, Click Here. 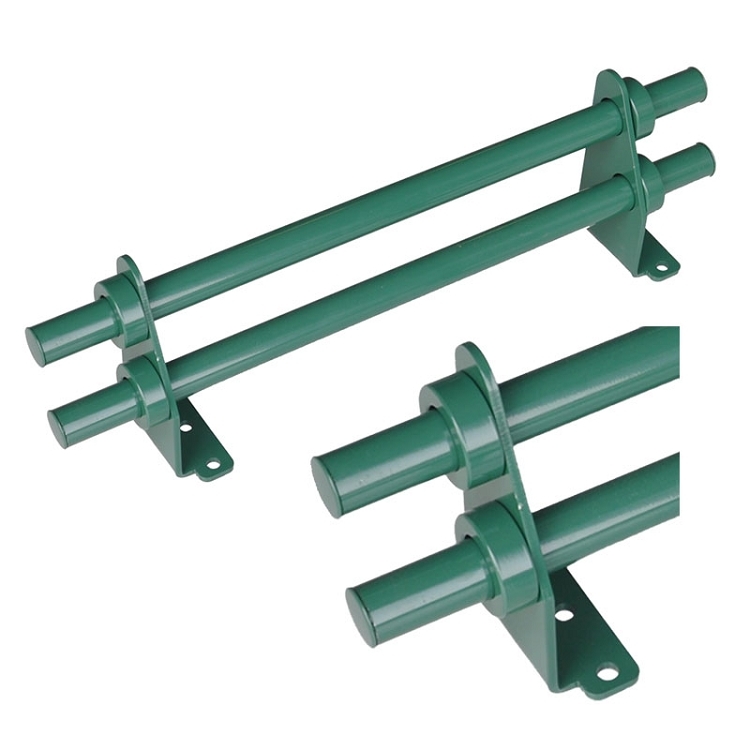 S-5 DualGard is also an excellent option if an aluminum, non powder coated snow retention system is wanted, Click Here. Sno Bar systems can typically have more height as well. Most snow guards max out at 5" high, but a snow rail system can be up to 12" in height. In areas where there is tons of snow fall, this stronger system should be preferred. While more costly, in the end the price is well worth it. If an insufficient amount of snow guards are used on a roof, it will likely fail and having to replace a snow retention every 3-5 years can be just as costly if not more so. If the roof becomes damaged it has to be fixed as well as the snow guards replaced. 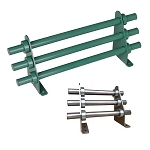 It's better to purchase the best system first, metal roof rails. Why are snow guards and snow rail so important? The answer is simple. Snow Guards and snow rail protect people and the material things we value from being damaged or destroyed by falling snow and ice. When snow falls off the roof in one large sheet, it is called a rooftop avalanche. When conditions are right snow will come off any type or roof in this way. Say goodbye to anything below it. The most common type of roof where rooftop avalanches occur are metal roofs. This would include standing seam metal roofs and exposed fastened metal roofs. Because of the nature of snow and metal, once the snow falls it will freeze itself the to roof. One would think this would be permanent, but snow is like a blanket anything warm bodied underneath the blanket will trap the heat. A roof or a house is not warm bodied, but the people that live inside the house are. When it is cold outside, the heat is turned up inside of the house, and we all know that heat rises. That being said, the roof is were most heat from inside the house escapes to the outside of the house. This is a natural process, but when a blanket of snow covers the roof, the heat is trapped beneath the snow surface causing the under layer of snow to melt. Now instead of the snow being frozen to the metal roof surface, it now sits on a slick wet surface. Then as avalanches occur in mountain top, all it takes is one thing to trigger an avalanche and it all comes down at once. 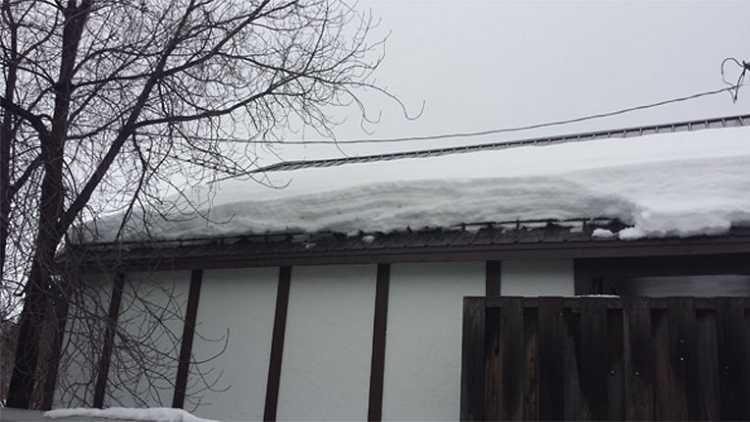 The cause for a rooftop avalanche off other roof types varies, but this is an example of why rooftop avalanches generally occur on metal roof surfaces. 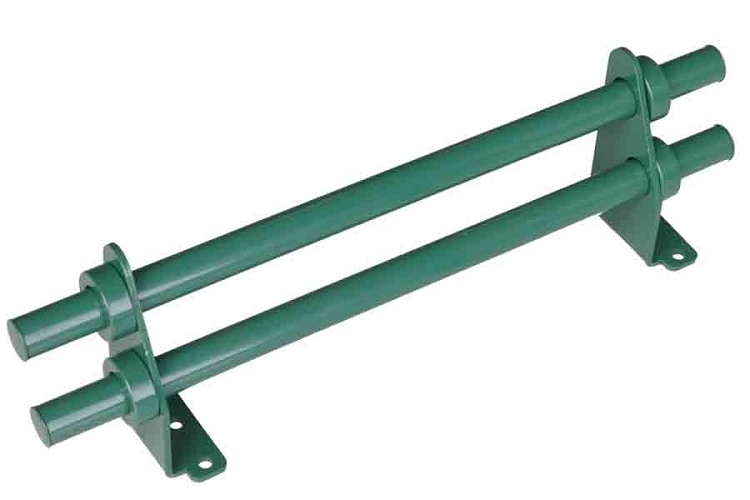 Sno Shield's double deck mount snow rail is a perfect solution for the scenario described above. A double bar snow rail system could also be called "a snow fence for roofs". Use Sno Shield's deck mount snow fence roof systems in areas where the roof snow load is considered medium to heavy (Note: In medium-light snow load areas it can be used in combination with a single deck mount snow rail.) The 2 bar deck mount snow fence will not keep the roof surface from becoming slick with snow melt water, but it will keep the snow on the roof when it would have otherwise come off. In summary, the double pipe Sno Shield Snow Rail Deck Mount is a pad-style snow fence roof system used for medium snow retention. It is a continuous two pipe style snow guard system that helps prevent rooftop avalanches off of metal roofs such as standing seam metal roofs, or non-standing seam metal roofs, shingled roofs or slate roofs. Scroll bellow to see the materials that come with this snow retention device. States that should consider this system include: Wisconsin, Minnesota, Utah, Rhode Island, Connecticut, South Dakota, Montana, North Dakota, Idaho, Pennsylvania and Iowa. These state receive a moderate amount of snow that would make this snow retention system necessary. Please allow 2-4 weeks lead time for all snow rail systems. The amount purchase will make the time vary in which it can be delivered. Yes, we received the snow rail we ordered on the promised date and it looks spectacular on our green metal roof. We just had it installed a couple of days ago. We are trying to keep the snow from sliding off the roof onto our heat exchanger unit. I think it will work well. Thank you. Q: Can I bolt this snow rail on a copper roof? Also, can I cut this to length or should I specify how long I need it? Thank you. A: We would have to make it a stainless steel system. That can be purchased unpainted or powder coated. Yes, custom lengths are available upon request. Please call 208-450-3699 or email order@roofthings.com with the specific measurements and components you would like quoted. Q: Does the rail system need to be lagged to the rafters or is 5/8 sob sufficient? A: It is best to install this system into rafters, but it can be installed into the decking of the roof. If that is the case, I would reccomend a few more mounts. The system only comes with four, one being placed every two feet.